Kuopio is a city and a municipality located in the region of Northern Savonia, Finland. A population of makes it the ninth biggest city in the country. The city has a total area of, of which is water and half forest. The population density is only round 0}}, but the city's urban areas are populated very densely (urban area: 1 618 /km²), nationally second only to capital Helsinki (urban area: 1,690.0/km²).Since 1969 Kuopio has grown extensively through municipality mergers. 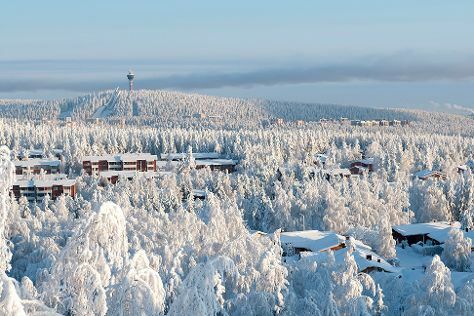 Kuopio’s population surpassed the 100,000 mark when the town of Nilsiä joined Kuopio at the beginning of 2013.NameThere are several explanations behind the name Kuopio. The first is that in the 16th century, a certain influential person named Kauhanen in Tavinsalmi changed his name to Skopa and the people's pronunciation was Coopia and finally Cuopio. The second explanation is that it comes from the verb kuopia, meaning "paw", as when a horse paws the ground with its hoof. A third hypothesis is that it came from a certain Karelian man's name Prokopij, from Ruokolahti in the Middle Ages. This is the most probable explanation, supported by the Research Institute for the Languages of Finland. Kuopio is in Northern Savonia. Add Kuopio and other destinations to your itinerary using our Finland itinerary planning tool , and learn about what to see, what to do, and where to stay.